The LABview BV900 system is for evidence screening of blood stain, BPA, fibres hairs and body fluids. For blood it is especially capable of revealing untreated and chemically treated blood at low concentration levels. 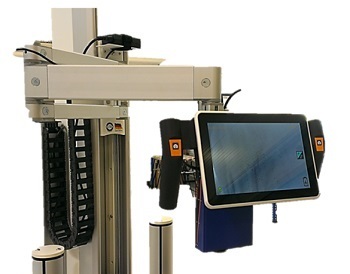 The OR-GQP5000 is a powerful imaging system for detecting fingerprints, body fluids and blood directly at the crime scene. Its a multi-wavelength device equipped with White, UV, Blue and Infra LED Illumination and corresponding filters that connects to a mobile phone via WiFi to enable storage of images. 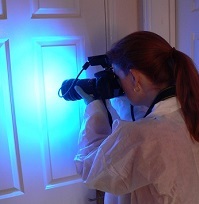 The LEEDS Forensic LSV2 is a multi wavelength imaging tool used to view and capture and document bodily fluids, victim bruising, trace evidence, accelerants, explosives and GSR. 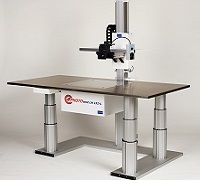 The PHOTOvent LH151 provides a downdraft filtered photography workstation with motorised camera positioning, height adjustment with lighting and accessory shelving. 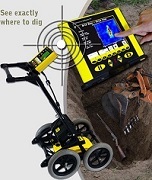 The FINDAR system is a forensic ground penetrating radar imaging system for locating objects burried under the earth.